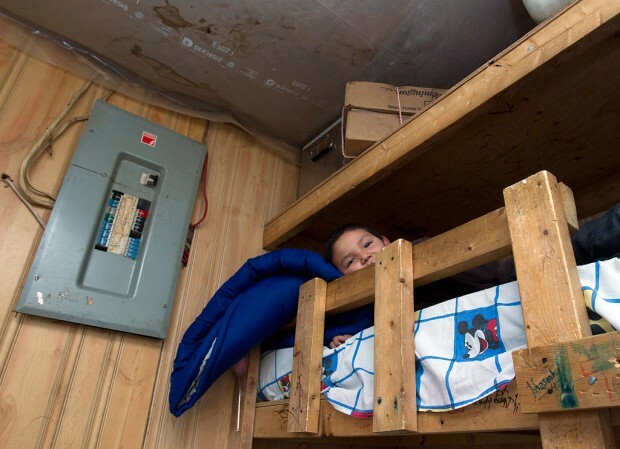 Seven-year-old Ferlin Iahtal lies in his home-made bunk bed in his home in Attawapiskat on Dec. 17. Twenty-one people live in the house that has plastic on the ceilings to stop water leaks. Canada’s active neglect of the First Nations continues. Under the heavy mantle of the oppressive Harper regime minority groups and those concerned with justice should be prepared to take a pass until the current regime of plutocratic conservative troglodytes have been put out to pasture. Harper intends to meet with First Nations leaders again, to discuss land use, resource revenue and living conditions for Canada’s first peoples. Stalled is quite the understatement as First Nations concerns were unceremoniously kicked to the curb by the Conservative government. “Resolving outstanding land claims is among the top priorities. Aboriginal leaders feel the current process of settling the claims unjustly favours the federal government. Nothing unreasonable here, just people wanting to take part in the prosperous 1st world nation Canada is. A world that has, for the most part, been denied to First Nations people. Meanwhile, the Canadian government is increasingly coming into conflict with the needs of First Nations communities as it promotes the extraction of oil and other natural resources. A diamond mine projected to become one of the richest in the world is just upstream from the poverty-stricken town of Attawapiskat on James Bay. The mine is on traditional lands, but the royalties flow to the province. 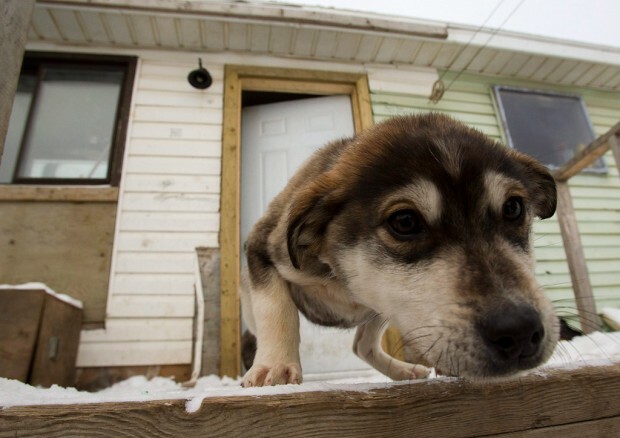 A puppy sits on the porch of a home in Attawapiskat. Inside, the home has no plumbing or sanitation facilities. Racism is alive and well in Canada as we continue to neglect our First Nations and keep them impoverished and on the margins of society. We still have far to go on improving our own imperialist record, mending decades of neglect is going to be a huge project, one that is unlikely to be undertaken by the current Conservative Government of Canada. Sadly, imperialism is alive and well in the world today. This is the ugly face of it.